You look absolutely adorable! I love the double stripes. The crop top look so cute on you. What a cute striped outfit! Like your stripe look, so cool! 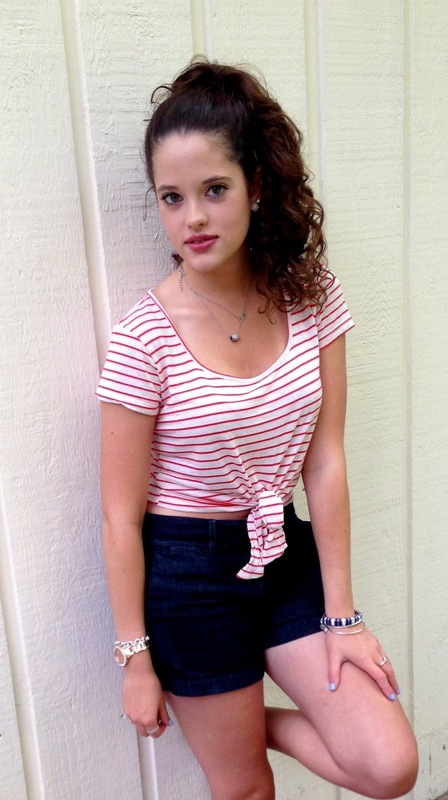 Loooove stripes and this look is simply perfect! The last summer hurrah huh! Very cute! Great cropped top and spadrines... loving the striped trend! Yes, the crop top craze had taken over! I love your classier take on the trend and the tie bottom is perfect! 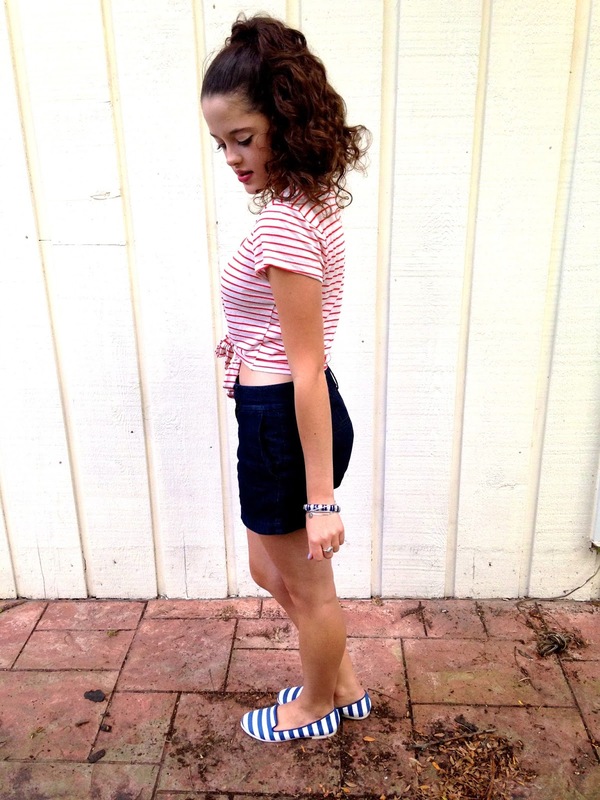 This is such a cute outfit with the red, white and blue combination! Get as much as you can out of summer while you still can! Such a cute outfit...I fall for stripes every time. Cute top! You look adorable in it! 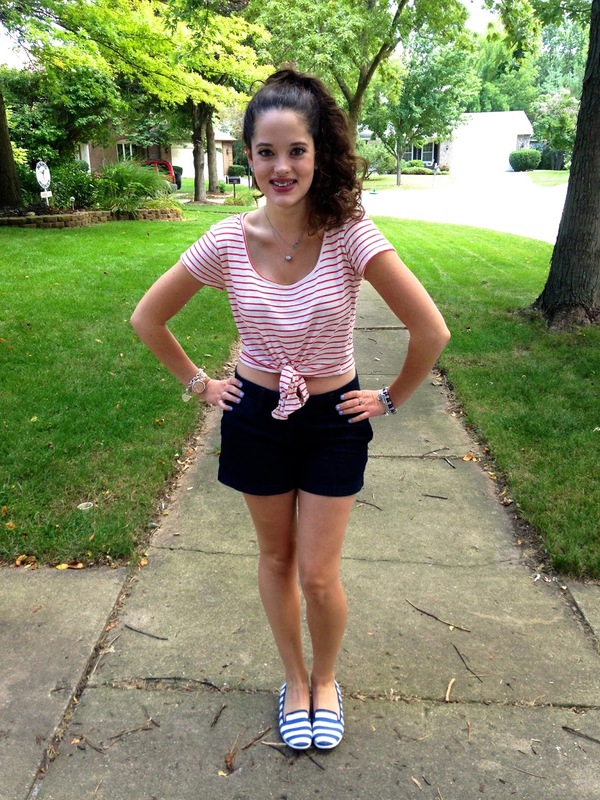 Looking absolutely adorable in that striped crop top ! New post on the blog , visit me soon & if you like follow on facebook, twitter & pinterest too, I'll follow back lovely! So cute! I love the different stripes together and the way you tied your top up! And your hair always looks so pretty in a ponytail! all the stripes are so cute! I love this nautical look. The shoes are just darling. This is my first time visiting your blog and I love it! Very nice outfit and you look beautiful!!! I live in NC too! I know what you mean about the weather. I like the long summers in our state though. 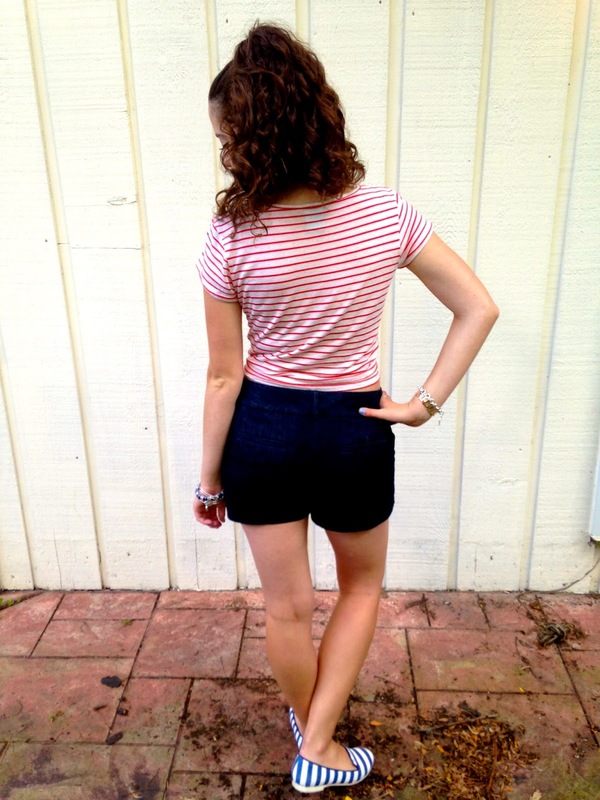 I like my summer clothes =) I like the mix of stripe colors of your shirt and flats. 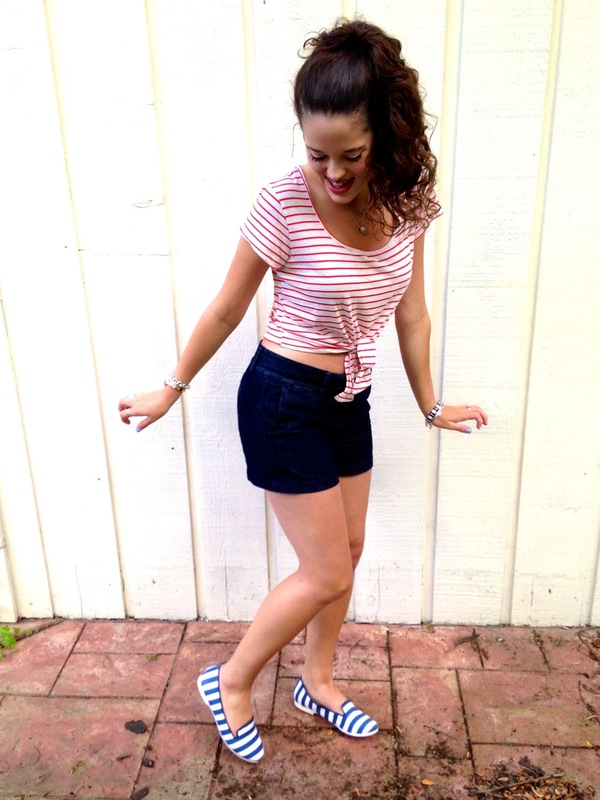 The double stripes make for an adorable nautical look! 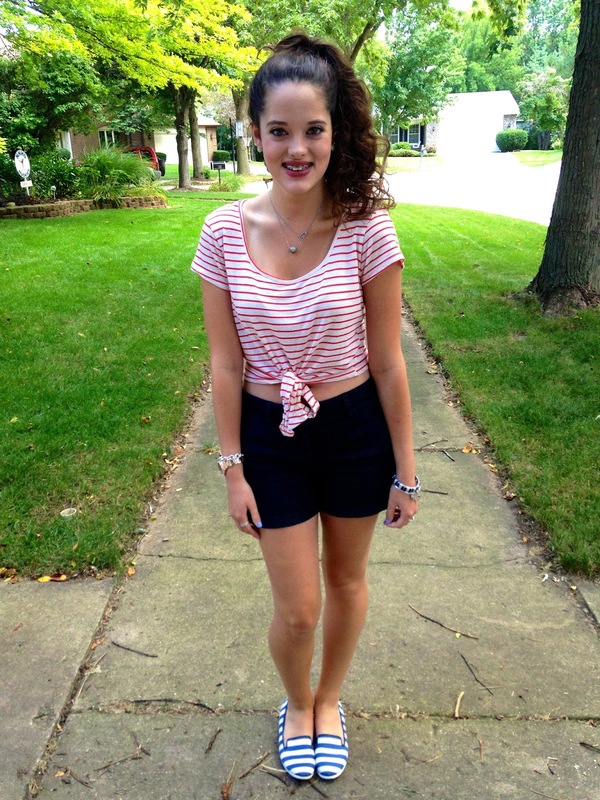 I love crop tops, I've been wearing them practically every weekend this summer! I always just try to wear something longer on the bottom, so it's not too much skin. you are SOO cute with stripes and stripes! and so brave to wear a crop top, i so CANNOT wear one hehe!! All the stripes in the outfit is cute. Great tips on the cropped top. You look amazing in this one. I have realized that I had forgotten to follow your nice blog .